This map shows the status of radon surveys being undertaken by the California Radon Program and the California Geological Survey. 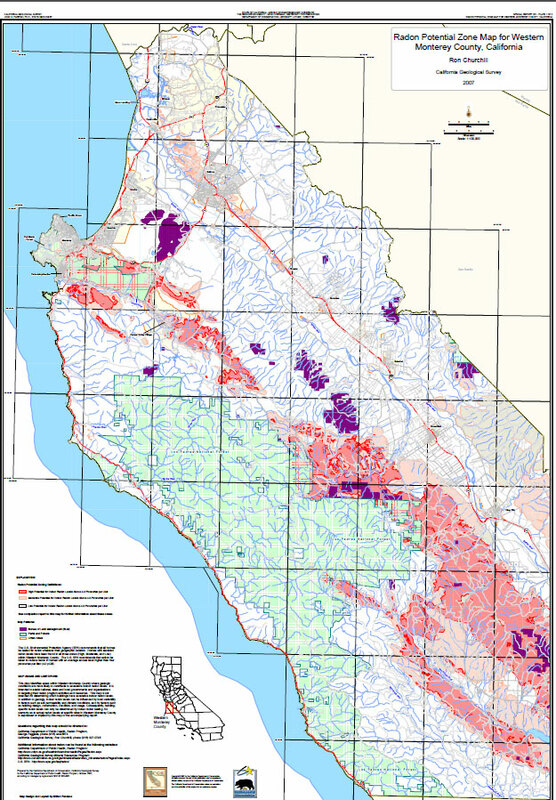 This map was compiled by GeoAssurance from AirChek data from charcoal tests for zip codes in California. 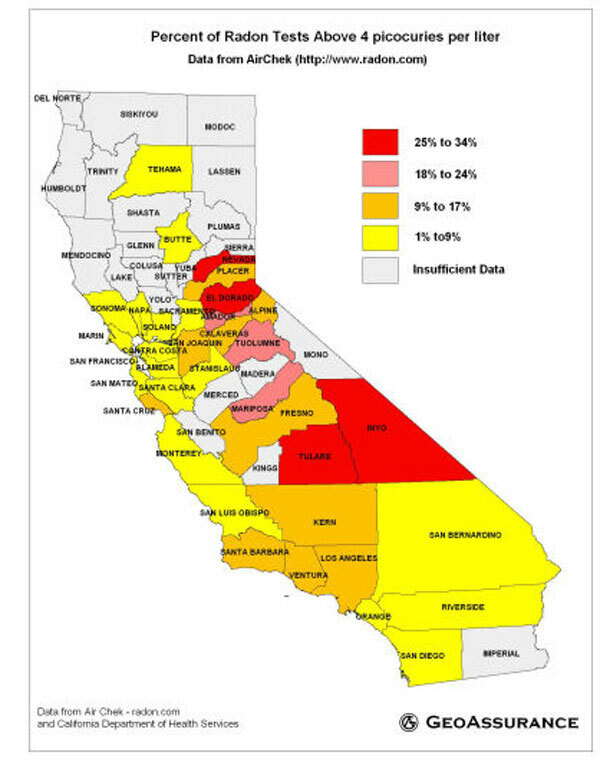 Notice that El Dorado County is in the red (25% to 34% of homes tested are 4 pC/l and above. 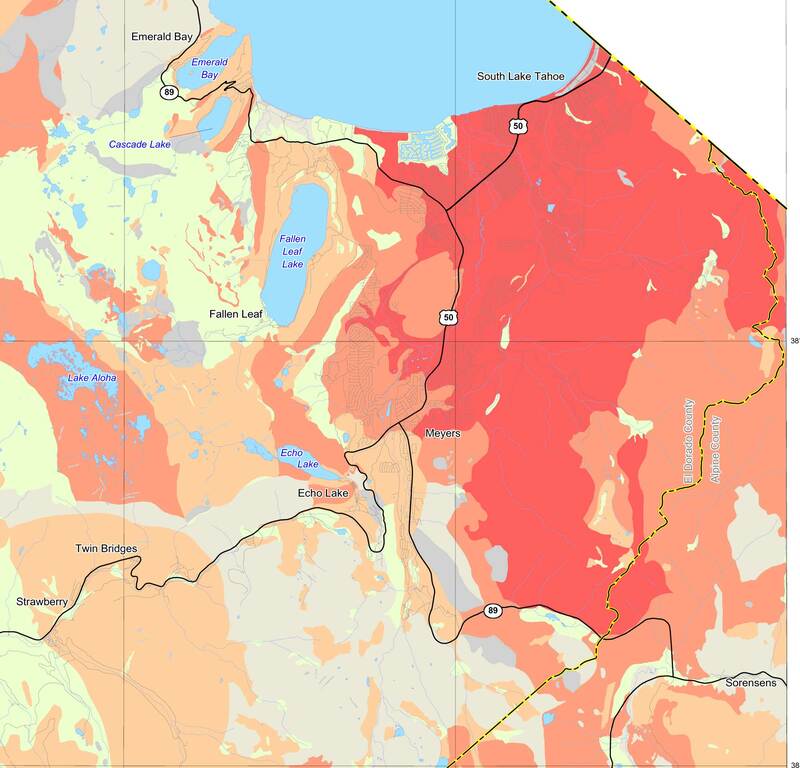 This map, also by GeoAssurance, shows radon by zip code. 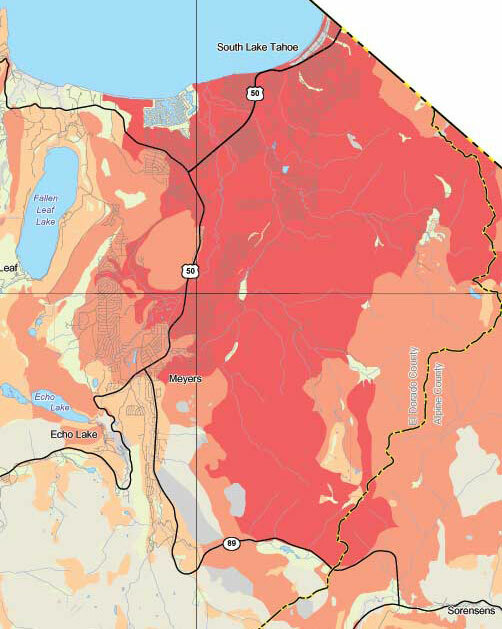 Notice that the area around Lake Tahoe is nearly all red, showing that 16% to 82% of homes tested in that zip code are 4 pC/l or higher. 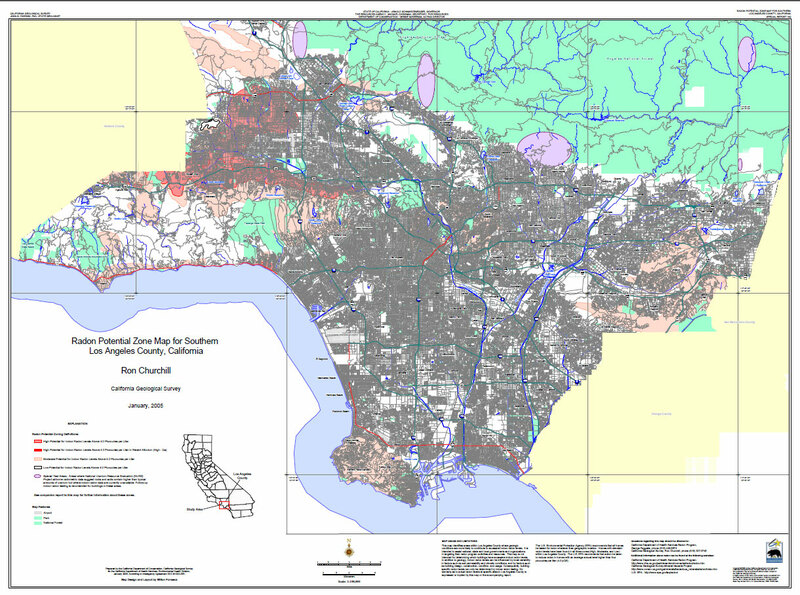 This is the (old and out of date) 1980 Official EPA Radon Map of California counties. 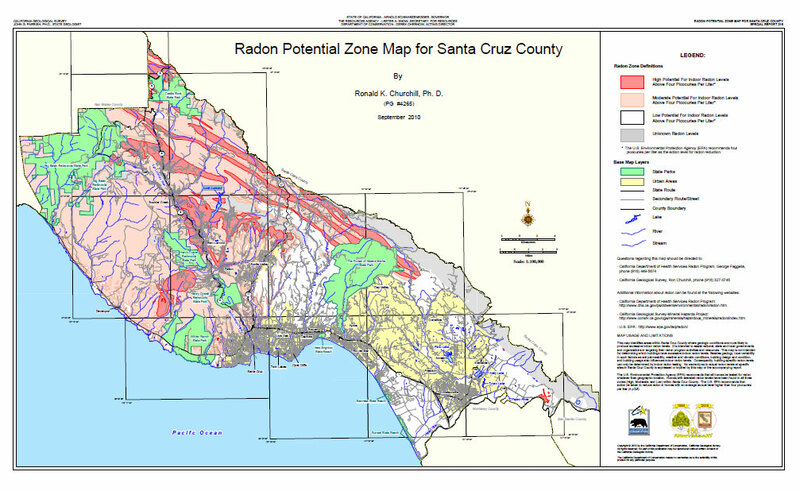 It shows only two counties with sigificant radon potential. 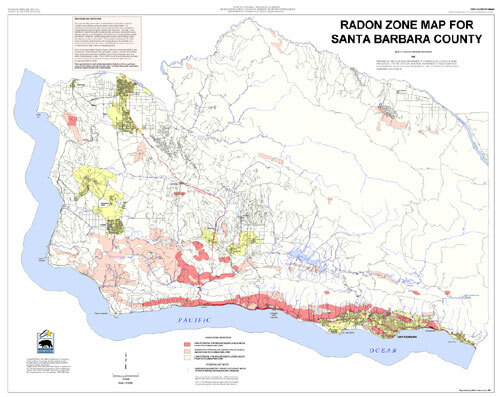 Ventura and Santa Barbara do have some areas of high radon potential, but over all they are not high radon counties. 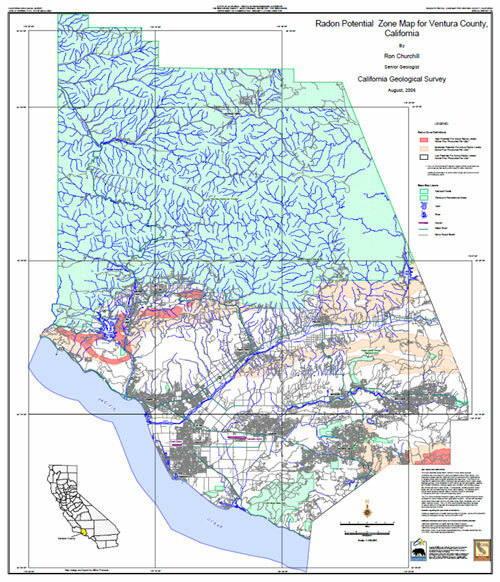 On the other hand, many counties not listed as high radon potential on this old map have been shown to have very high areas of radon potential on the more recent CGS radon survey maps listed below. 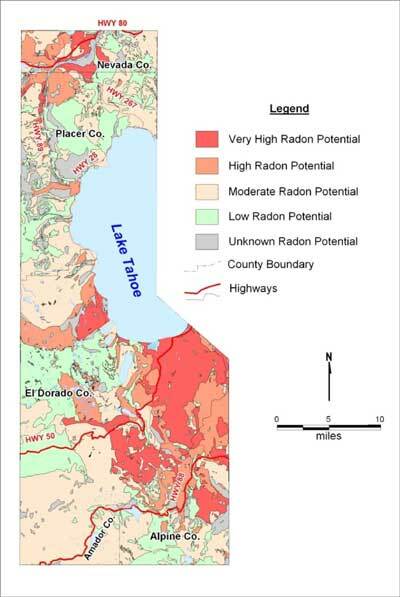 This is an example of a very high radon potential area (in my home town of South Lake Tahoe, El Dorado County) that does not get any mention on the older EPA map. 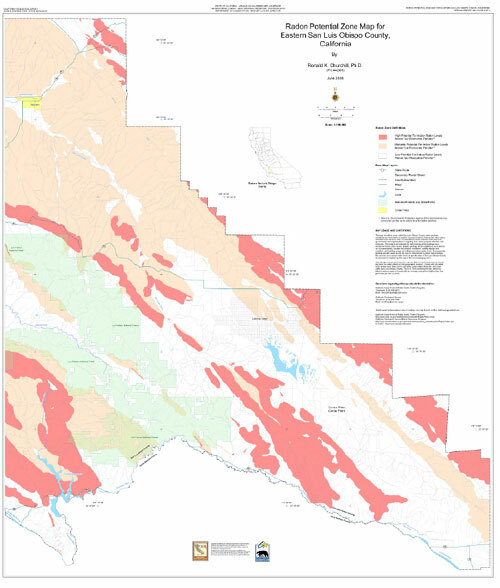 Real estate sales in the Stateline area of South Lake Tahoe, which has a very high radon potential, are listed as 'moderate radon potential" because the California Real Estate Hazard Report still uses the outdated 1980 EPA radon map. Recent, accurate and local radon maps should be used when available. 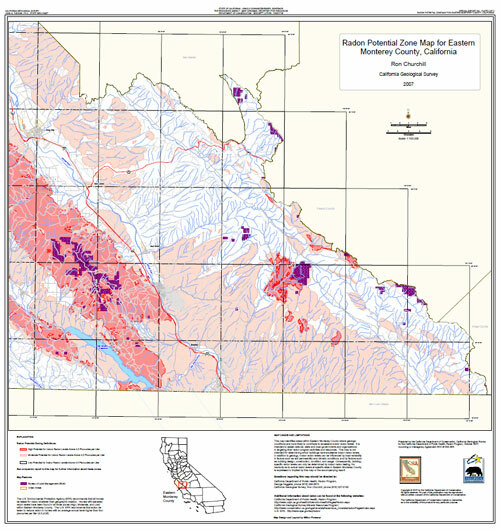 This is the El Dorado, Placer and Nevada Counties portion of the Lake Tahoe Basin. There is an interesting story behind the Palos Verdes Radon Map. What began as 15-year-old Lauren Fukumoto's high school science project last spring has expanded to a USGS study of the geologic causes of indoor radon in a school district south of Los Angeles that might have implications in other populated areas of California. 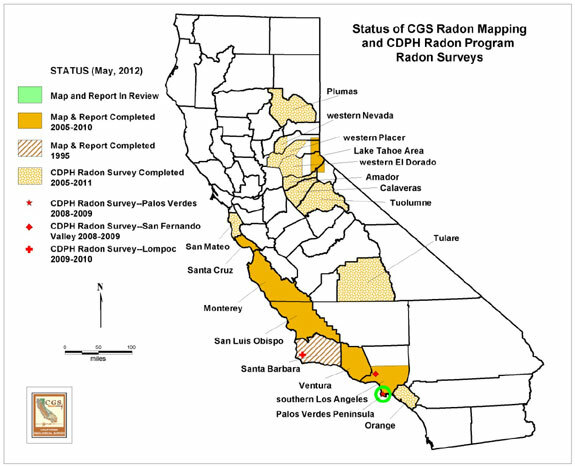 Radon, a colorless, odorless toxic gas occurs naturally in rocks, soil and ground water through the decay of uranium. It can damage lungs and contribute to lung cancer especially in enclosed areas like buildings. As part of her project, Lauren and her father Joseph measured radon levels in classrooms of 17 schools in the Palos Verdes Peninsula Unified School District. They found that more than 10 percent of the classrooms had radon measurements exceeding the USEPA action level and more than half of the schools had one or more classrooms above the action level. 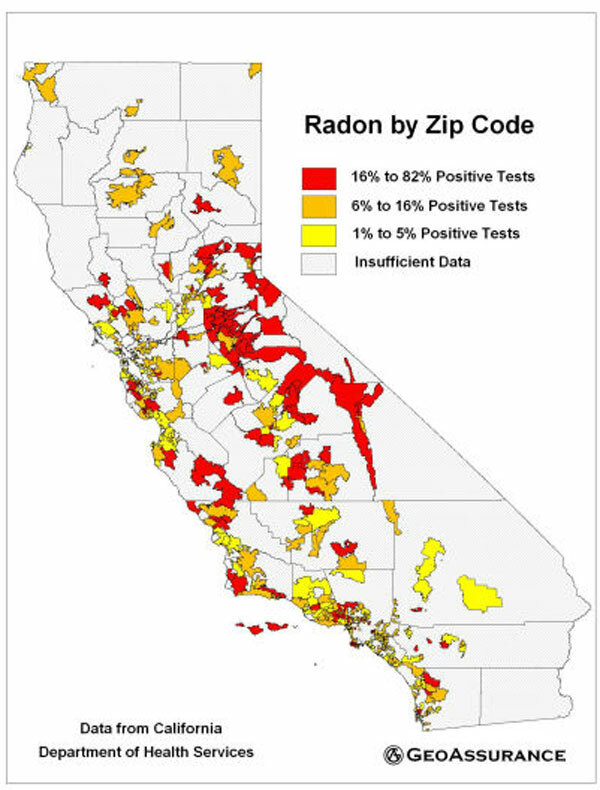 Three schools had particularly high levels of indoor radon in numerous classrooms, and the school district has taken steps to correct the problem. Working with geologists from USGS, the Fukumotos identified the likely source of the radon as a particular part of the Monterey Formation, which occurs at many other places in California. 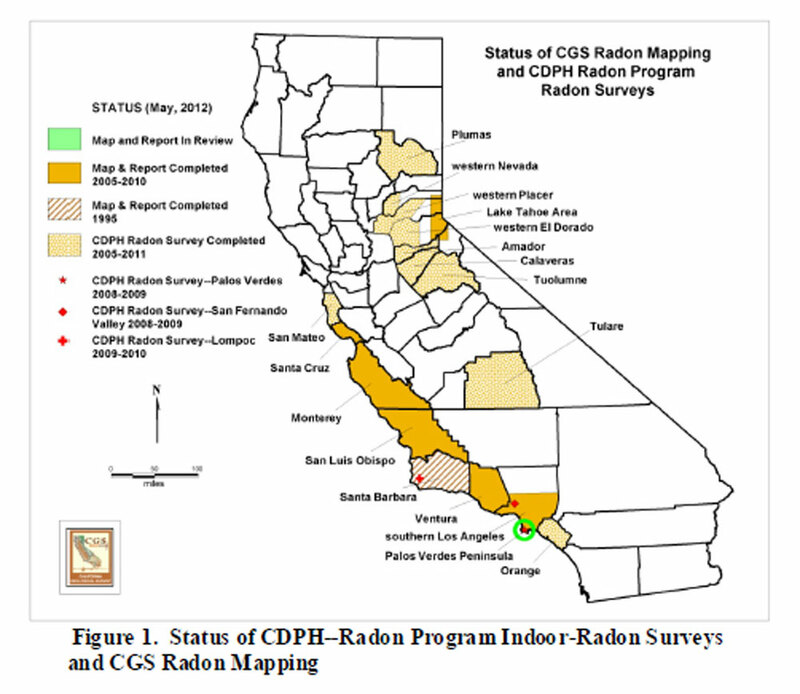 Earlier predictions of indoor radon levels suggested that the problem was minimal in the state. 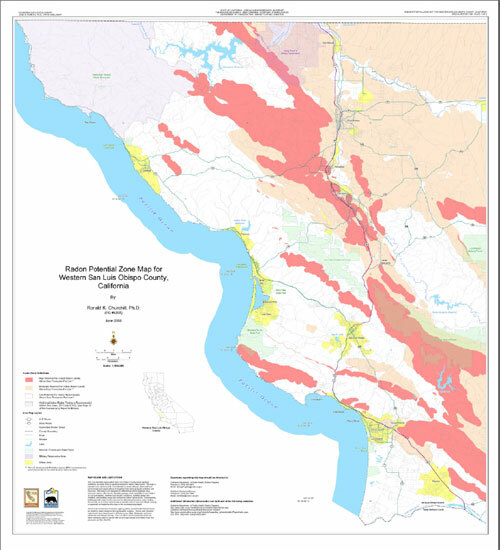 These new scientific results show that geologic maps can form a basis for more accurate predictions of elevated indoor radon and have prompted new examinations of data that suggest that other rocks in California are also likely sources of elevated indoor radon. 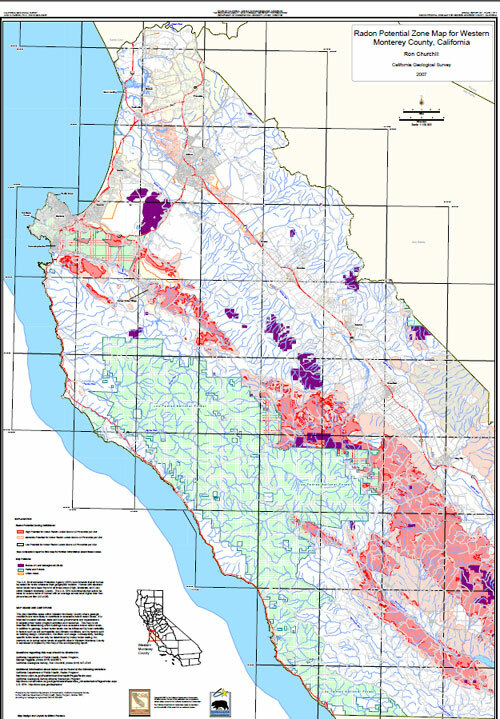 For more information, call Joseph Duval at 703-648-6106 or email at jduval@usgs.gov. 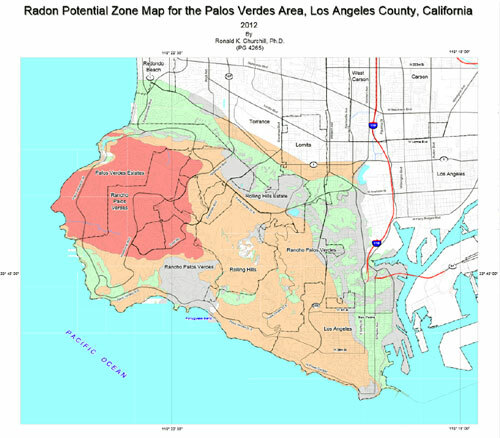 California Geological Survey followed up with a Radon Survey of Palos Verdes in 2011 and in 2014 (December 15, 2014) they will hold a community meeting to discuss the map and survey result with residents on the Palos Verdes Pennisula. Click here to view the meeting announcement.